Buying a foreclosure in Columbia can be a great way to make some extra cash… as long as you know what to look for. The process can require you to be much more diligent in your research of the house. In this article, we will go over things to watch out for when buying a foreclosure so you can make a smart investment decision. When a homeowner falls victim to foreclosure, they often fail to properly upkeep the home. The yard can become badly overgrown, pools improperly maintained and common repairs will go ignored. Everything from a minor leaky faucet, to a major leak in the roof, can affect the condition of the home. And once a homeowner learns that they will be losing their home, they are less likely to sink any money into fixing it. Sometimes the banks can stall the sale of the home, leaving the property vacant for months at a time. You can expect major appliances to be removed by either the previous owner or by people who know the house is empty. Even things such as copper pipes can be removed as there is a cash value for them. 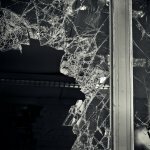 Sometimes, an owner who knows they are losing their home will cause damage to the house, either due to anger or in an attempt to retrieve items from the home after the bank has locked them out. You can expect some broken windows and for items to be ripped from the home haphazardly. In addition to the lack of routine repairs and maintenance, you can expect things to be dirty. It is highly probable the house will not have been cleaned in months. And with the possibility of broken windows, critters, dirt and leaves can find their way in, making a mess of the floors. Sometimes, if a homeowner leaves quickly, or lacks the space for their belongings, things can be left behind. This includes larger pieces that you will have to move out yourself. You will be working with the bank to buy this home as opposed to the previous owner. Because of this, you cannot expect the bank to offer you any insight into previous repair work or issues with the home. The bank has never lived there. You will need to have your own home inspection done so can understand the home’s foundation, both literally and figuratively. The bank is under no obligation to disclose anything about the home. They sell as-is, leaving you to deal with any issues that may arise. A bank will not give you a loan for a house that appraises lower than what you are paying. They will not see the value in giving you a loan for a property they consider uninhabitable. Many foreclosures are paid for in cash, by investors who want to fix and flip the home. You can expect high competition from cash buyers who are able to work with the banks and quickly pay the amount for the home the bank is requesting. Many of these investors flip homes for a living and will be able to get the inside track on when a good deal is about to hit the market. Position yourself by thoroughly educating yourself on the property in question, and what is required of you to make an offer.